The ongoing cold weather reminds us that something is afoot in global climate change. The list of concerns is growing. 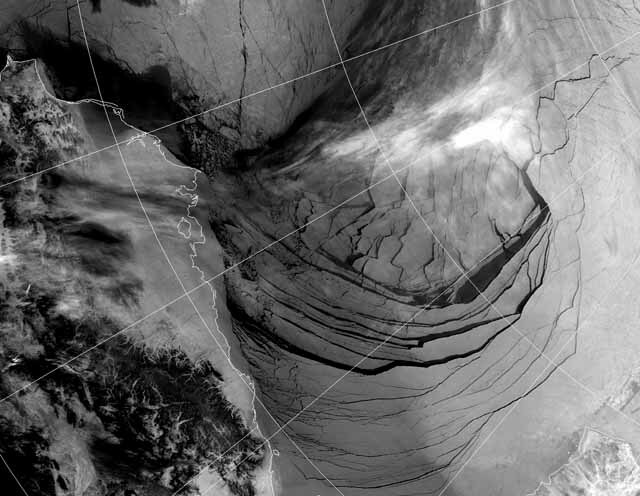 The pictures of the sea ice cracking over the Beaufort Sea north of Alaska and Canada (left) may be extraordinary, but the causes and consequences remain distant for policy makers. Compare global climate change with efforts to save the Euro. The UK Government now seeks to take climate change off the agenda in schools for under 15 year olds. It is not totally clear why. It may just be because of pressure on the curriculum, but it may be because policy makers do not think that this age group should be taught about climate change. But let us just reflect, in the words of John Ashton (Director of E3G and a fellow of the Grantham Institute for Climate Change at Imperial College) writing in the Guardian newspaper (19 March 2013), “[t]here are two paths now available: one leads towards a world in which by mid-century the basic needs of 9 billion people can be met by co-ordinating a successful response to climate change. The other looks increasingly like descent into competition, fragmentation and conflict, as the interconnected stresses of food, water, and energy insecurity become unmanageable.” The children who will inherit the legacy of previoius generations at least have the right to know what has been done to them. Picture: taken from http://econnexus.org/; but originating from the European Space Agencies CryoSat-2 satelite and mission to examine the arctic ice caps.